In the Kaka’ako Area and looking to connect with fresh local food?? Do you have a farmer you can call on to get things locally sourced? Do you need to get one? 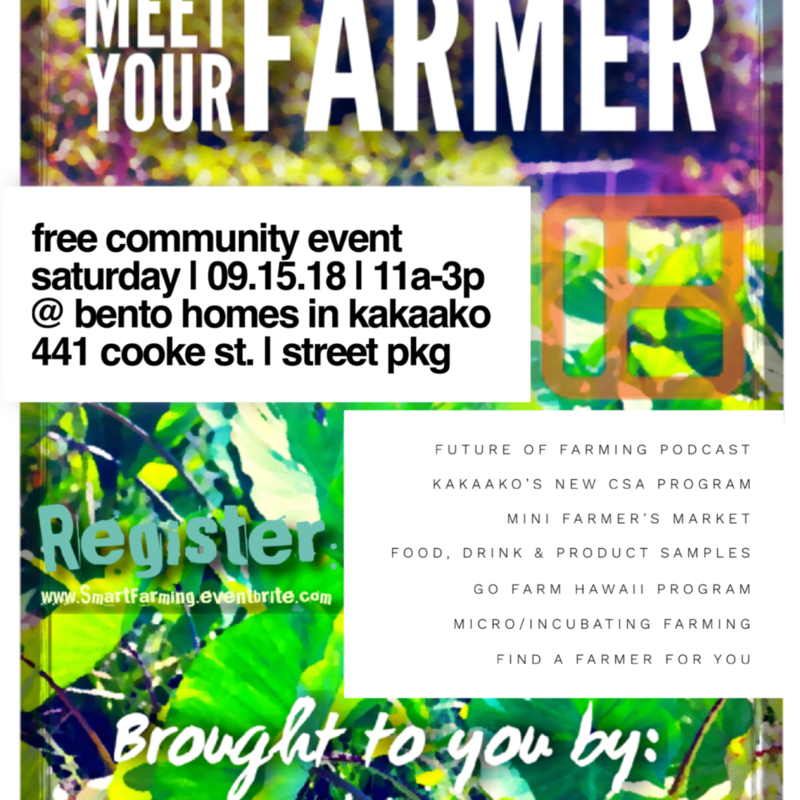 Be sure to stop by Bento Homes on Septmeber 15th to get on a farmers list and check out food purveyors on Oahu that can get you what you need. Sign up for a CSA a bag before all the spots are gone and make connections with your local food system. There’s no better time than now to understand where your food comes from, where it is going and how you can get it. Having a connection with people who grow and provide access to food is vital to sustainability in Hawaii. Don’t miss out!